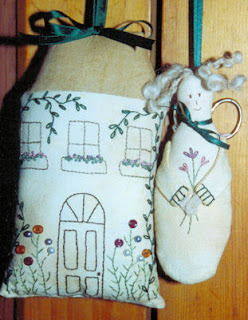 One of my favourite things is to stumble across some new and original hand embroidery designs. Truth is I already have a stash of hand embroidery patterns waiting for me in my sewing cupboard. They are all carefully stacked one after the other in a special box. 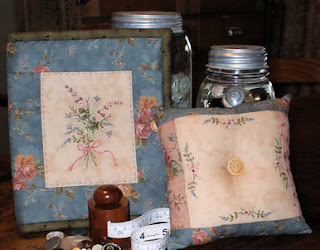 My pile includes both hand embroidery patterns and quilting patterns that I just had to have. 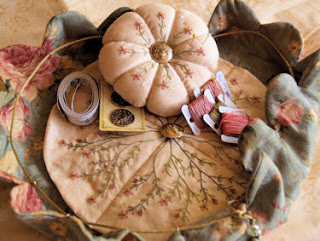 If you're passion about hand embroidery or sewing you'll understand how it is. It's kind of a condition isn't it? Like an addiction that only fellow fabric and pattern hoarders can truly understand. There are so many beautiful designs and not enough hours in the day to get them all sewn. I often worry about how I will ever live long enough to get to the bottom of my pattern stash. Maybe I never will and these fabulous patterns will be passed on to my two daughters to become part of their pattern and fabric stash. (Yes I think I have converted them both into fabric and pattern lovers themselves) I have spent years converting them. I had to. I had to protect my fabric and pattern stash for the future. I couldn't bare the thought of my stash ever being thrown away, heaven forbid. On some days I find myself looking through my stash of patterns in secret. Like a true addict. Hiding them from my husband for fear he will not understand why I have so many. I pond over them slowly trying to decide which one I'd like to start next. I get excited thinking about the fabrics and the fun I'll have. But then I glance over at my work baskets (yes I have more then one) and see the unfinished projects spilling over the top and I place the new pattern back into the pile for another day. Still, despite my huge pattern pile, I find myself drawn to new hand embroidery designs and quilting patterns that I can collect. In fact I love them so much that I now design patterns myself. So now I have two piles. A pile I have collected over the years in my travels to craft fairs and quilting shops, and I pile that I have written and designed myself. So I have a real problem. The time has come.Can you please help me get rid of one of these piles so that I can make room for some more. They are cluttering up my work space. Please take a look at these hand embroidery designs and take one home to your house where I know they will look superb in your pattern pile. 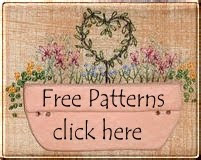 If your pattern stash is looking a bit depleted, so even if it's not, do me a favour and check out these hand embroidery designs and much more by clicking here. 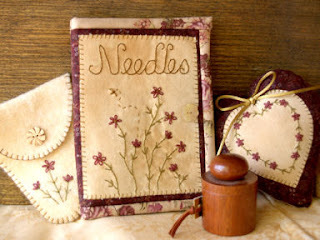 There are even some free hand embroidery designs that I'd love to share with you. Thanks for the free pretty pattern! I just found your site today while googling embroidery patterns and I love it.